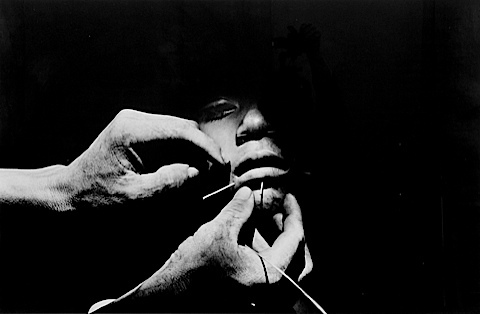 Claudia Andujar was born in Neuchâtel, Switzerland, in 1931, and spent her childhood in Romania and Hungary. 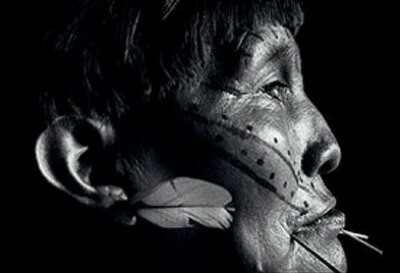 She later migrated to the United States where she studied humanities at Hunter College in New York. 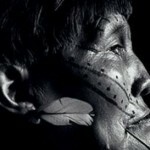 In 1956, she moved to Brazil. Claudia met Yanomamis for the first time in 1971 while working on an article about Amazon region for Realidade magazine. 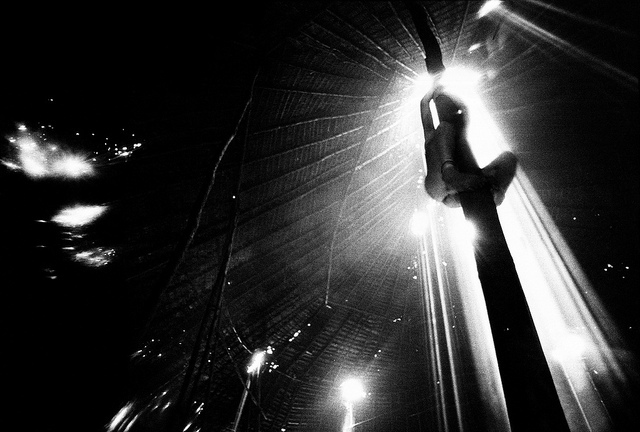 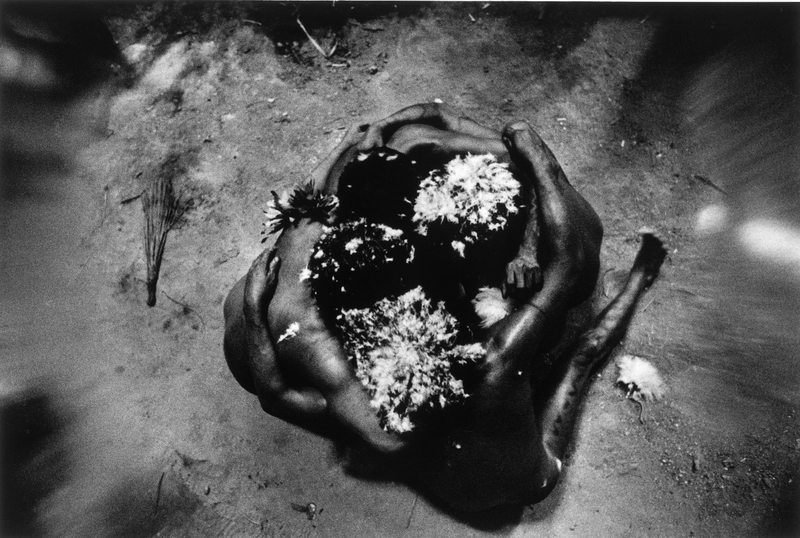 Intrigued by the way of life of these people, who had had little contact with the outside world, she gave up her career as a photojournalist and with the help of a two year Guggenheim Fellowship, she embarked on an in-depth photographic essay on the Yanomami. Yanomami are horticulturalists and property is collective. 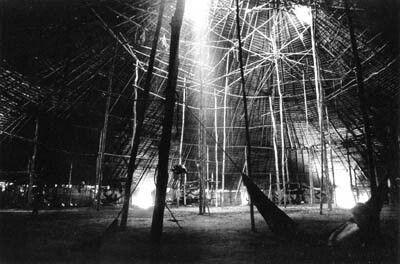 Several families or households gather to form a communal house or “shapono”. 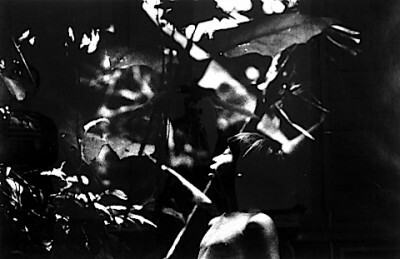 This is a series of open houses covered with palm trees arranged in a circle to a central open square. 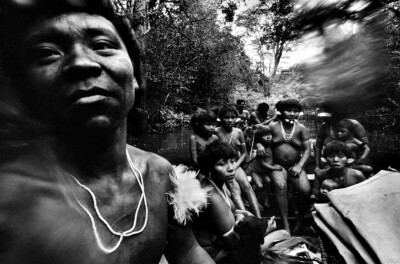 They hunt, fish, and practice slash and burn agriculture, crops are plantains and cassava, moving their village every few years. 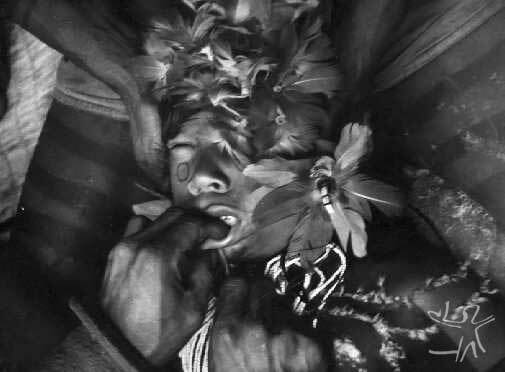 The Yanomami do not believe in the separation between the mortal and spiritual world; they believe that everything in this world has a spirit and therefore the fate of the people is linked to the fate of the environment. 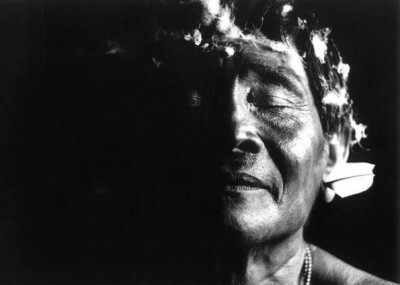 The shaman is the spiritual leader responsible for expelling the evil spirits that cause disease in members of the village or to attack an enemy of another community. 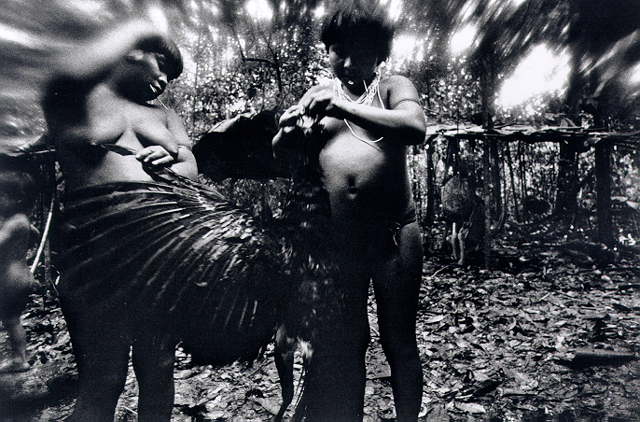 Claudia Andujar was witness of the construction of the transcontinental highway in Northern Brazil. 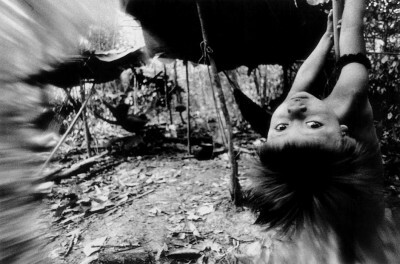 She observed bulldozers razing Yanomami villages to pave roads for the highway. 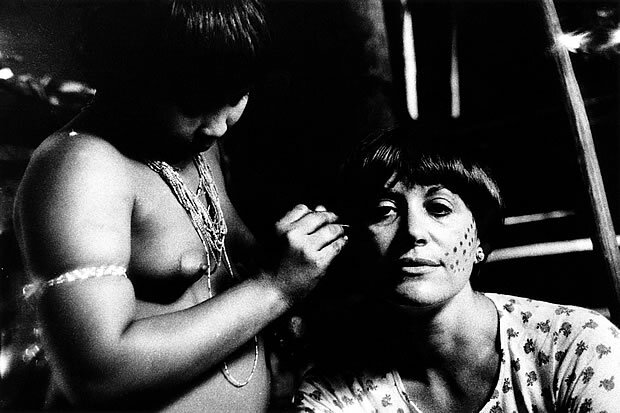 Along with cultural impact brought about by the construction, she witnessed a devastating measles epidemic, which swept through the southern territory of the Yanomami in 1974. 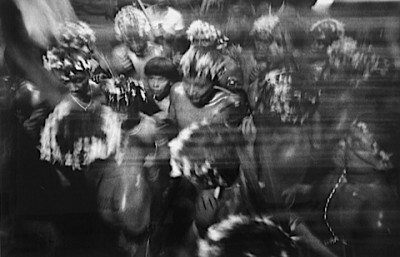 Claudia Andujar temporarily suspended her work in photography and helped establish health outposts enabling Yanomami people to receive medical aid. During the 1980s, thousands of illegal gold miners made their way into the Amazon to make their fortunes. 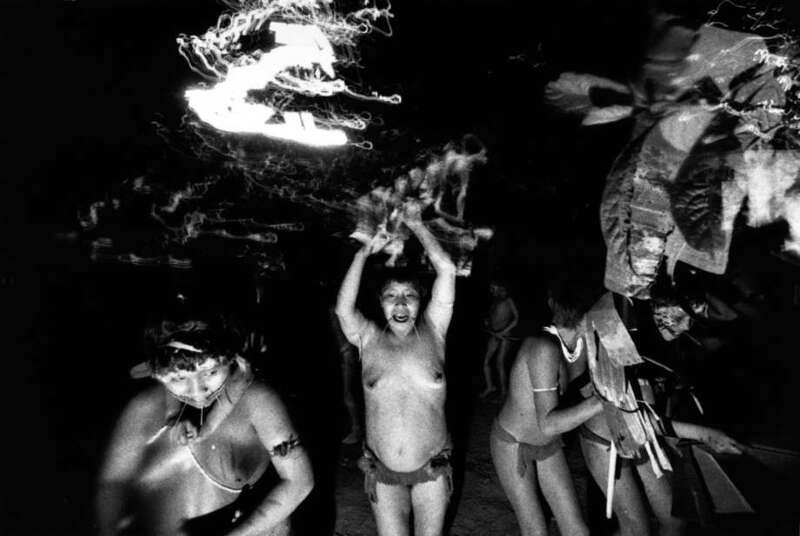 By the end of the 1980s, there were 40,000 gold miners in the Brazilian Amazon while the entire Yanomami population numbered just 11,000. During this period the Yanomami faced even more epidemics, most notably malaria. Also, mercury used by miners to extract gold from ore, spilled into the rivers, poisonined the streams and killed off fish and plant life the indigenous people depended on for food. 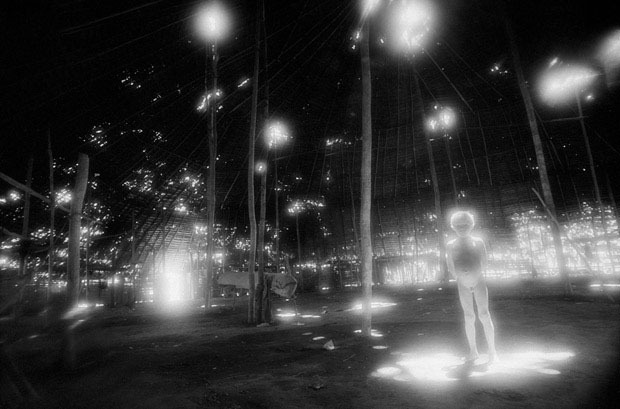 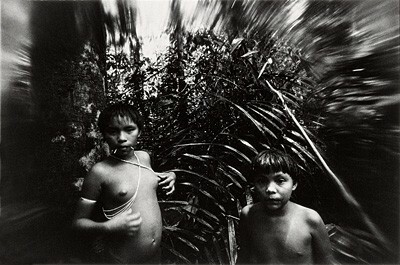 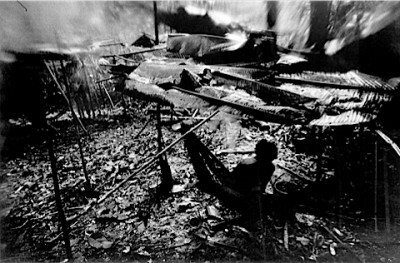 Twenty percent of the Yanomami died as a consequence of the gold-mining intrusion. Claudia Andujar photographs are in the collections of the Museum of Modern Art in New York, the Eastman House in Rochester, the Amsterdam Art Museum, and many other museums around the world. 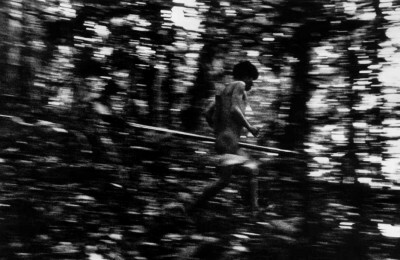 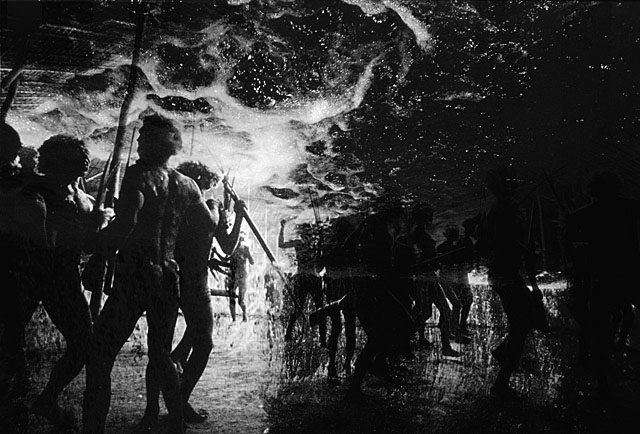 Most of the images shown here belong to her first inmmersion in the Yanomami culture, 1971 to 1977. 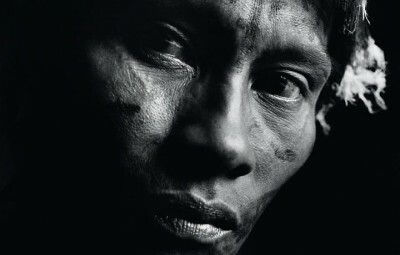 This material first appeared on the book Yanomami: Frente ao eterno. 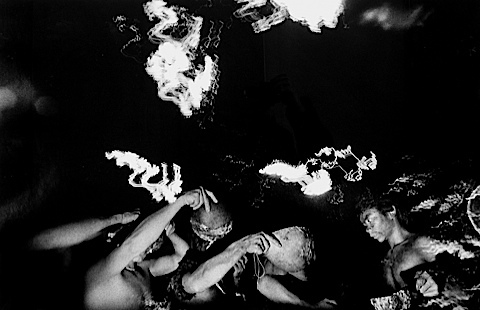 Praxis, 1978. 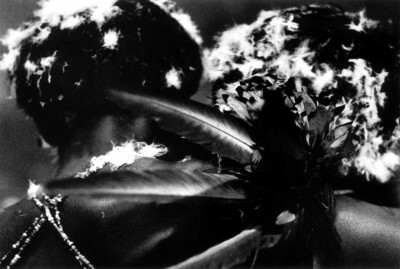 Edition of 1500. 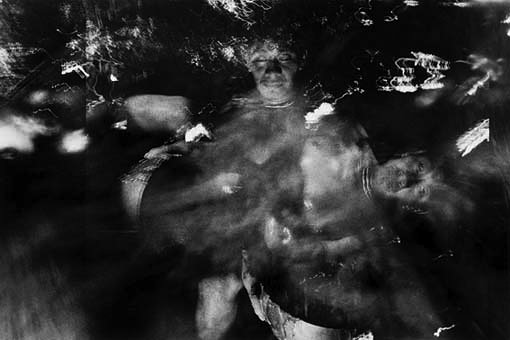 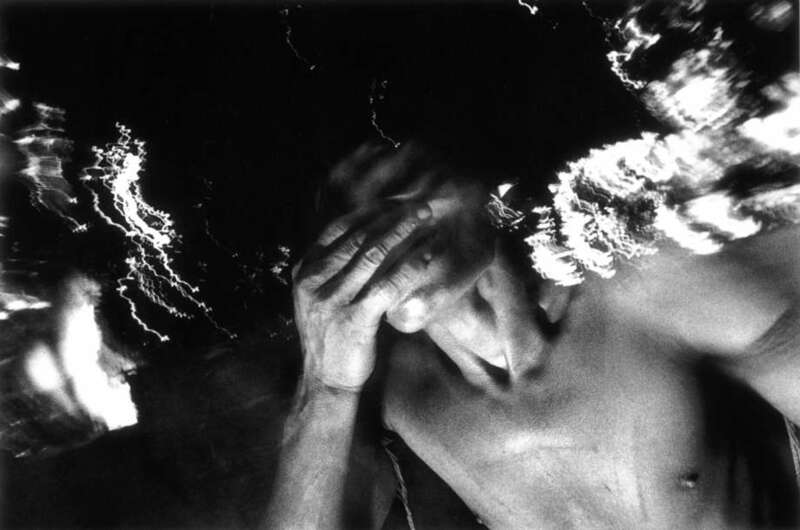 In 1978 together with George Love, Claudia published Amazonia, an arte book where the masters of the Earth are evoked through a dramatic film-like narrative charged with emotion and what it seems an altered mind perception.